Meet Little Jo! 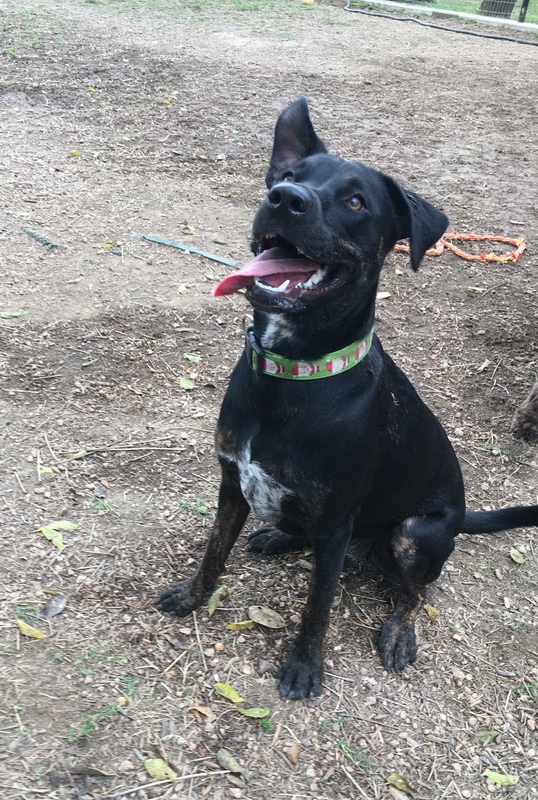 She is a lovable mixed breed and is a little over a year old! She’s been seeing us since she was a puppy for her vaccines and coming every day for Doggie Day Care! Recently she got an eye infection and had to stay home a few days. The doctor suspected she had conjunctivitis. Conjunctivitis in dogs may occur when the conjunctiva tissue gets infected. The conjunctiva is a protective tissue that will prevent dirt and debris from entering the dog’s eyes. Conjunctivitis can be unpleasant for your pet as the affected eye gets red and swollen, but once detected, it can be treated. After some ointment and rest, she is back to her rambunctious self and enjoying herself in Doggie Day Care every day again. She is always so excited to be here and makes us smile every morning with her eagerness to play! Rocksi is the sweetest 10 year old Labrador Retriever mix. She came to us for an annual exam and vaccines as well as discussing treatment for an ear hematoma. An aural hematoma is a pool of blood that collects between the skin and the cartilage of a pet’s ear flap. It’s typically caused by overly aggressive ear scratching or head shaking that results from an ear infection. During her exam it was determined she was heartworm positive, and after discussing these new findings it was mutually decided to proceed with heartworm treatment before doing surgery to fix her ear hematoma. She started the necessary medications right away and came back a few weeks later to have her treatment. In the meantime, Rocksi had a small puncture in her ear allowing the fluid to drain and her owner to flush her ear with cleaning solution every day. Along with the treatment at home she also came back each week to recheck her ear to make sure all was going well. With all of the hard work from her owner her ear has gotten better and she is now back home doing great! 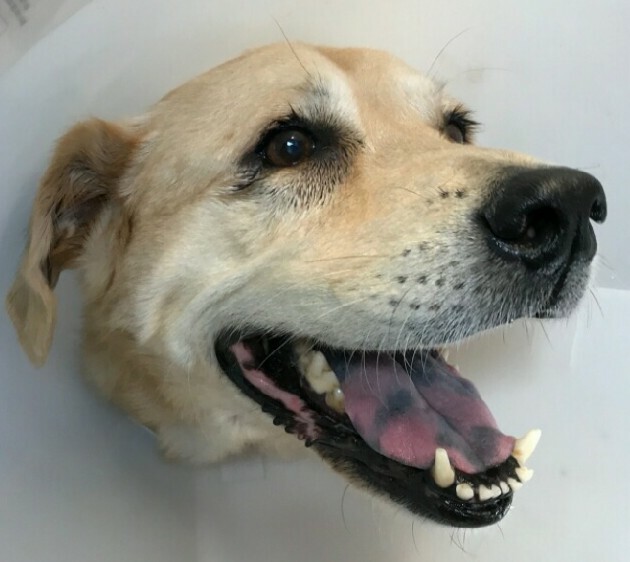 Through it all she was happy, with a smile on her face, even when she had to wear the cone of shame! Now her visits consist of lots of treats and check ups to make sure she is still on the right track!